Micromax Canvas Duet 2 android smartphone has the 5.27 inched of HD screen which device is powered with 1.2 GHz Quad Core processor which works on the Jellybean 4.1 Android OS. Combined with the 2MP of front facing camera, this product also comes with the 8 MP of facing to the rear camera. 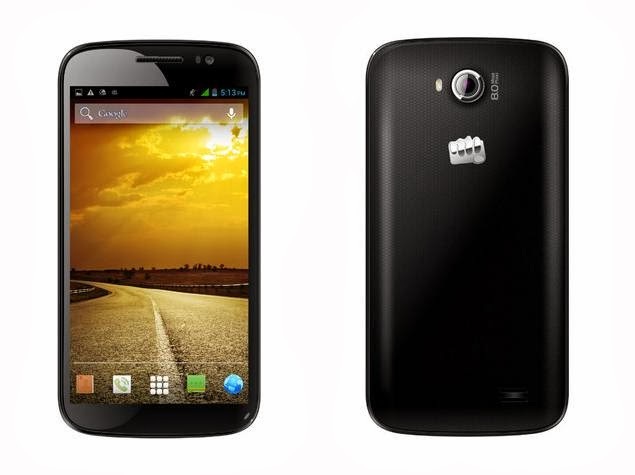 This device comes with the 1GB of RAM combined with the 4GB of internal memory which may be then expanded up to 32GB with the aid of external SD Card.Micromax canvas duet 2 device also has the 3G HSPA+ capability, WIFI 802.11 b/g/n capability together with Bluetooth, GPS and Radio capability. Not to forget, this device also has the Dual Sim CDMA + GSM capability together with 2300mAH of battery life.